Ruth Bernard Yeazell ’67 was inducted into the 2009 class of the American Academy of Arts and Sciences, a program that celebrates pioneering research and scholarship, artistic achievement, and exemplary service to society. 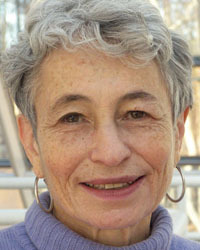 She is currently the Chace Family Professor of English and director of the Lewis Walpole Library at Yale University, where she has served since 1991. Previously, she has received fellowships from the National Humanities Center, the Rockefeller Foundation, and the Guggenheim Foundation. Yeazell has written widely on the novel, the history of gender and sexuality, and the relation of literature to the visual arts. Her most recent book, Art of the Everyday: Dutch Painting and the Realist Novel, was published by Princeton University Press in 2008. Before teaching at Yale, Yeazell was a professor at UCLA and Boston University.